This stunning 3 bedroom plus office, 3.5 bath, 3.064 sq. ft. home in the Private gated Villa Verde area is Decorator Perfect , with a 180 degree View from the Ocean to the Mountains, making for a spectacular "Queen's Necklace" & City light View. It is Light Filled, with Soaring Ceilings, Hardwood floors, Leaded glass windows, and French Doors. The upstairs has an open Floor Plan in the Kitchen, Breakfast area, and Family room. Enjoy the views from the balcony off of the Living room or the huge lower deck with a Spa overlooking the Community Pool. Other features include 3 Fireplaces, all bedrooms with" En Suite" baths, Built-in Cabinets, large Storage Closet and attached 2 Car Garage. Rancho Palos Verdes is one of the most beautiful cities in the world to live. The Palos Verdes Peninsula is also one of the wealthiest communities in the country, as described in the Los Angeles Business Journal.. RanchoPalos Verdes has an extremely interesting history and was founded on the principle of maintaining the low density of development which was being threatened, and preserving as much of the beautiful open space as possible, which made Rancho Palos Verdes such a unique community. 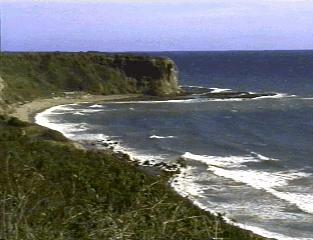 Rancho Palos Verdes consists of 13.5 square miles, with 7.5 miles of coastline. The City is the largest city on the Palos Verdes Peninsula. Sports, Parks and Recreation: Children in Rancho Palos Verdes play baseball in three little leagues ; Rolling Hills Little League (located in adjacent Rolling Hills), Silver Spur Little Leage (located in adjacent Rolling Hills Estates) , and the Lunada Bay Little League ( located in the adjacent Palos Verdes Estates) , ( For a map of the little league boundaries, Click Here ) Pony League baseball for 13 to 15 year olds, is available at Ernie Howlett park in Rolling Hills Estates, and George Allen Field in Palos Verdes Estates. AYSO Soccer leagues are active throughout the City. Girls softball is generally played on fields at various school locations There are also youth basketball leagues, and lacrosse leagues for intermediate schools.